On a glorious blue-sky Sunday afternoon, in the shadow of a majestic red barn that stands sentinel over Clinton Raceway in rural Ontario, the world’s most successful harness driver was having anything but second thoughts. John Campbell was, instead, approaching the final drive of his career with glee and gusto, even agreeing to wear a GoPro camera on his helmet to record the event for historical purposes, without a care that the contraption left him looking less than cool. “I’m at peace with it, to tell you the truth,” he said, grinning about the decision to stop driving at age 62 to become president and CEO of the Hambletonian Society. Minutes later, he swung his legs into the sulky and pointed trotter Happy Holidays down the paddock hill to the track and into a welcoming goodbye roar from a crowd estimated to exceed the town of Clinton’s population of 3,000. Despite still driving regularly in the upper echelons of the sport, the fact Campbell has not wavered since announcing his retirement in March isn’t surprising. Campbell is a man of remarkable consistency and conviction. Which is exactly how his driving career came to end on July 30, just 10 miles east of the shores of Lake Huron, 40 miles north of the old Campbell family homestead in the farming community of Nairn and 500 miles northwest of the Meadowlands mega track in New Jersey where he made his Hall of Fame career and starred for 40 years. 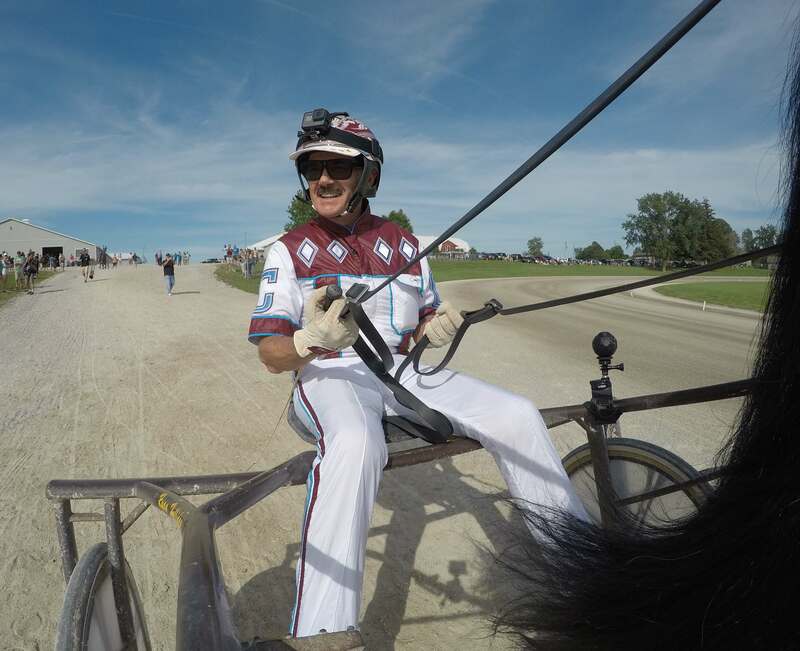 Campbell long ago committed to drive at Clinton Raceway’s biennial Legends Day — an event he has never missed since it started in 2001 — and he was going to honor that pledge, though he officially took the reins of the Hambletonian Society a month earlier. “Although I’ve spent most of my life in New Jersey, I still consider Ontario home for a huge part of my life,” he said. “It just feels good to me to end up in Ontario, not far from where I started and in front of a number of people who were there when I started driving back in the spring of 1972. 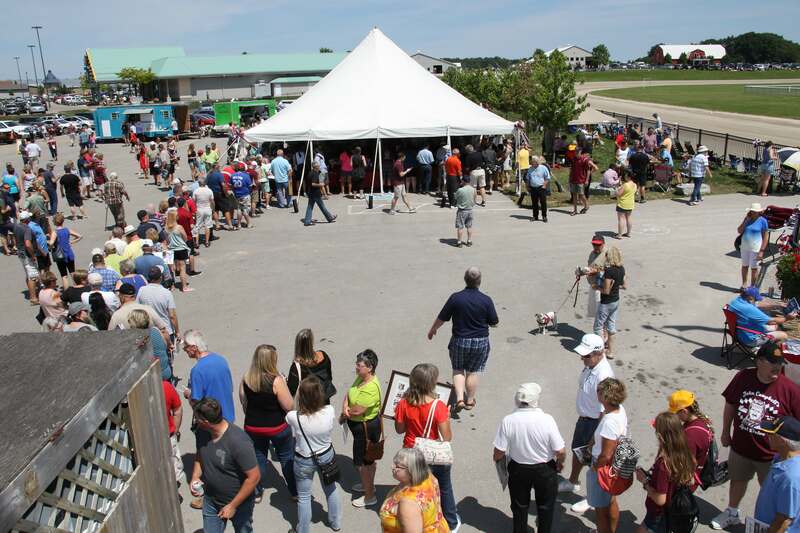 A long line of fans snaked past the grandstand toward the tent where Campbell and other Legends drivers were signing autographs and where fans had hung homemade signs. He retired from active sulky duty as the richest, most decorated driver in the sport’s history. 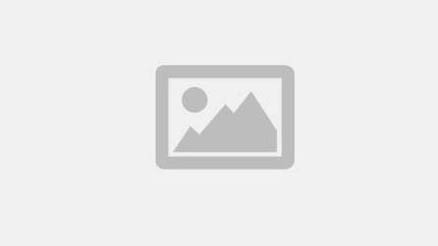 He has been inducted in Canada’s Sports Hall of Fame, the U.S. Harness Racing Hall of Fame, the Canadian Horse Racing Hall of Fame and the London Sports Hall of Fame. On Oct. 2, he will be inducted into the Ontario Sports Hall of Fame. Campbell won 10,688 races — including more than 230 major stakes — had a career UDRS of .299 and stacked up over $299 million in purses, falling just $100,859 shy of the $300 million mark (not counting overseas earnings). Still, upon retirement, that $299 million was $82 million more than the next closest driver, David Miller, and more than every jockey in the history of the Thoroughbred game except John Velazquez. Campbell retired nearly 100 years after his family began racing horses in rural Ontario. His grandfather, Duncan Campbell — who is enshrined in the Canadian Horse Racing Hall of Fame — started the Campbell clan in the game in 1923 when he raced his first horse at the Mitchell Fair just 20 miles southwest of Clinton. Teddy Mac, a 5-year-old pacer the man called “Dunc” purchased for $55, made a break in the second heat that afternoon and was disqualified, but Dunc sold him the next day for $400 and soon acquired Teddy Mac’s sister, Hazel Mac, who produced the family’s great foundation mare, Babe Grattan. Jack Campbell made an equally impressive debut with horses 21 years later just 20 minutes further down the road from Mitchell. That day in 1944, as war consumed much of the world, 13-year-old Jack hitched a ride 40 miles from the Campbell family farm near Ailsa Craig to Stratford to prep Babe Grattan’s Boy to race. Jack returned home triumphantly that night with a pocket full of cash for his father. John said he knows the stories well. On the Campbell family farm first settled in 1832 by John’s great-great-grandfather shortly after arriving in Canada from Scotland, Campbell’s earliest lessons were deeply etched in his brain by his father and grandfather. He developed his strong work ethic by watching his grandfather do more hard labor after age 60 than most people do in a lifetime. Before Campbell was old enough to learn the alphabet, he learned lessons about family and character and horses in the jog cart, firmly seated on his father, or grandfather’s, lap. 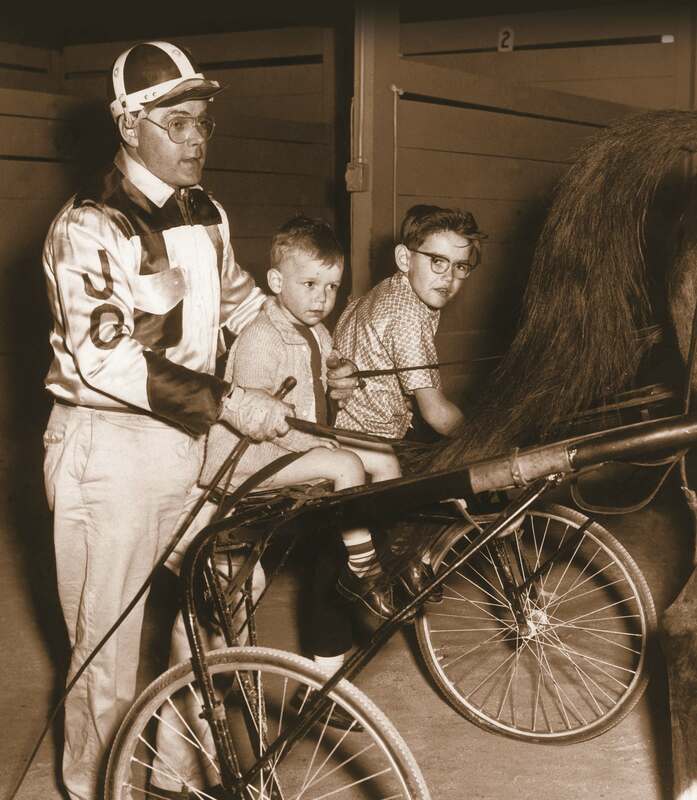 While other Canadian kids were firing pucks at a net, fantasizing about scoring the Stanley Cup-winning goal, John Campbell was dreaming about winning the Hambletonian from the seat of a broken sulky he had lashed to a water pump with binder twine. When Campbell was 6, his mother, Florence, made him a set of his own colors to wear while riding on Jack’s lap when Babe Grattan, then 31, led the post parade at Western Fair Raceway in London. “My mom supported me in everything that I did and she knew I was going to drive horses when I was really young,” Campbell said. His formal introduction to the racetrack came before he was old enough to start school. Jack and Dunc would often take John to Old Woodbine in Toronto and would tie string across the front of John’s tack room bunk bed to make sure he didn’t roll off in his sleep. “They had a great deal of patience to take somebody that young, but I just loved to go,” Campbell said. Western Fair Raceway — just 20 miles from the Campbell farm — figured prominently in Campbell’s development, as well. He was at the track often, helping Jack and Dunc get horses ready to race. When security balked at letting the young boy into the backstretch, Jack hatched a plan to make John one of the sport’s youngest owners. Jack placed a family-bred horse named Argyel Tommy in John’s name, thus giving John licensed access to the backstretch. 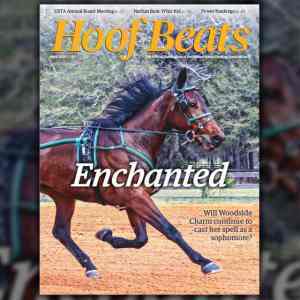 It was just a few years later that along came the horse that changed Campbell’s life. Argyel Chester was foaled on the Campbell family farm on April 8, 1966 — the night of John’s 11th birthday. The foal was a Newport Duke colt out of Argyel Margaret, a mare owned by John’s grandmother, Bernice. That night, the family went out to dinner to celebrate Campbell’s birthday. Argyel Chester went on to win $91,323 and set a mark of Q2:00.2h racing mostly in the top classes at Western Fair Raceway in London. More importantly, Argyel Chester gave Campbell some status at North Middlesex District High School in Parkhill; status that went beyond the fact that Argyel Chester’s racing exploits were regularly chronicled in the London Free Press. The gelding made enough money for him to buy a brand new Oldsmobile Cutlass. In 1972, at the age of 17, Campbell earned his racetrack driver’s license at Western Fair. On June 2 of that year, in just his third drive, he won his first race driving Noble Will, a gelding owned by his uncle, Ray, to victory. But it was the family’s star pacer Derbys Gent that gets the credit for taking Campbell to the big leagues at an early age. It was while racing a stable at Windsor Raceway that Campbell was lured to New Jersey by the Meadowlands’ respected race secretary, Joe DeFrank, who previously ran the race office at Windsor when Campbell competed at the border track in the mid-1970s. “The race secretary at Windsor Raceway told me I’d starve to death down here,” Campbell once said. Judging by his career earnings, it was one of the worst predictions in harness racing history. Campbell credits his mother with giving him the nudge he needed to go to New Jersey. At the Big M, Campbell made his name and rocketed to the top of the sport, joining Herve Filion as the youngest men inducted into the Harness Racing Hall of Fame at age 35 in 1990. “(The Meadowlands) has meant everything to my career. It’s where I started to get noticed in 1979,” he said. He also was blessed to experience the New Jersey track in its heyday. On June 30, 2017, John Campbell won his final race at the Meadowlands with trotter Muscle Diamond. “I saw the best part of the Meadowlands when we were averaging over 15,000 or 16,000 a night there, racing five or six days a week; just nights of historic harness racing. To be a part of that has just been really special,” Campbell said. “You always want to perform in front of as many people as possible. Campbell said what he would remember most from the Meadowlands isn’t any individual race or success he had. As one might expect from a man who pushed his career about 12 years further than he once predicted he would, the last few years have not been as glorious. Still, Campbell said he is proud to have been given drives in big races to the very end. Paula Campbell, his wife and No. 1 fan, said it’s been tough watching him drive less powerful stock after a stellar 45-year career spent almost entirely at the top. “It’s not fun watching him drive 50-1 shots,” she said. “He doesn’t really get the chances, and he still can drive so well. John remained somewhat philosophical about the end of his career. “As I said to some people, ‘You can’t drive horses forever,’” he said. 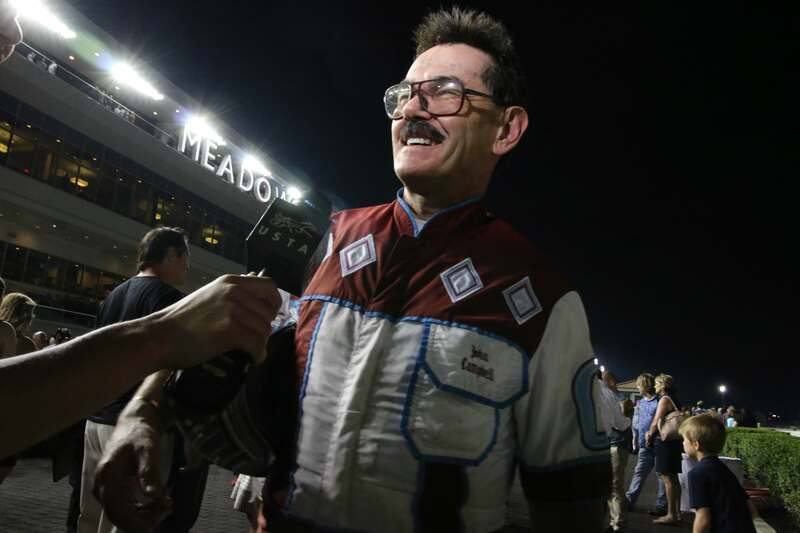 Yet fittingly, on June 30 he closed out his Meadowlands driving career with victories in his last two races — with Muscle High and Muscle Diamond, respectively. Two days later in Goshen, N.Y., he also won the $10,000 Mr. and Mrs. Elbridge Gerry Memorial Trot for Hall of Fame drivers at Historic Track, driving Pig Hunt to victory. Campbell was victorious in his final drive at Goshen Historic Track, winning the Mr. and Mrs. Elbridge Gerry Memorial Trot aboard Pig Hunt. Campbell’s final drive in the $15,000 Legends Day Trot — in a field of harness racing legends with total earnings exceeding $1.1 billion and combined victories approaching 69,000 — didn’t end with quite the same poetry. Happy Holiday made an early break and finished last. “She just didn’t handle the first turn. She was a little stiff in the post parade and I thought I might have a problem,” Campbell said, a split second of frustration on his face suggesting the competitive fires still burned hot to the end. Then, surrounded by four generations of his family in the Clinton Raceway winner’s circle, his expression quickly melted into a grin. His old friend and former rival, Bill O’Donnell, said Campbell would have been successful at just about anything. Yes, Campbell finished last in his last race, but every other indication on this remarkable day pointed to a man going out a winner, including a poignant speech to the crowd where, true to form, the themes of family and thanks and modesty ran strong. Despite having some pretty big dreams as a boy in a broken sulky, Campbell said he never conceived of anything close to how it all turned out. After countless moments in the sun, this had been the day of days. Hour upon hour they had come — old, young and in between — to share a story, ask for an autograph or photo and celebrate everything Campbell has meant to them and the sport. They wore special cardinal red, light blue, and white colored T-shirts with his face on them and held homemade signs and treasured mementos to mark the occasion. He accommodated them all with a smile that never faded — a man of considerable consistency and class to the very end. “It’s always special here at Legends Day, but today was just over the top for me,” he said of an event that raised a record $57,000 for the Clinton Public Hospital Foundation. “The feedback and the reaction from the fans has just been phenomenal. They had come for him, but he was having none of it. This was about them.